Many people can’t afford or don’t want the latest and greatest $700-$1000 smartphone. At this moment in time I think the Motorola Defy+ $99 Telstra offer including $10 Prepaid credit is the best value smartphone for people looking to upgrade from Nokia and other so called “dumb” phones that can only call and SMS, to the world of apps and touchscreen interaction. By offering the Defy+ at such a good price Telstra will quite possibly gain customers from Optus and Vodafone prepaid who want to switch to a network with better coverage and faster internet data transfers. While the Defy+ is a year old and runs the relatively old Android 2.3.6 it has all the basic features a smartphone needs like Stereo Bluetooth, WiFi, DLNA, GPS, 3G data transfers, access to hundreds of thousands of apps, cloud syncronisation of your Google calendar and Contacts etc. On the hardware side it has a quite serviceable 3.7″ touch screen that is scratch resistant due to Corning Gorilla Glass protection, rugged case that is water and dust resistant, supports extra storage of up to 32GB via microSD card and a 1GHz processor that can handle most tasks at a decent pace as long as you don’t try to run any high graphics games or do many processor intensive tasks at once. EDIT: I forgot to mention that you can use the Defy+ as a WiFi hotspot or tether it so your laptop can access the internet. Another benefit of the Defy+ is that it has Telstra’s blue tick which identifies phones that are capable of picking up very weak coverage signals and are therefore recommended for rural handheld coverage as well as in the city. For it’s price the Defy+ has a very good camera lens, accompanied with a strong LED flash and it takes high quality photos of the great outdoors that belie its mere 5MP specification. 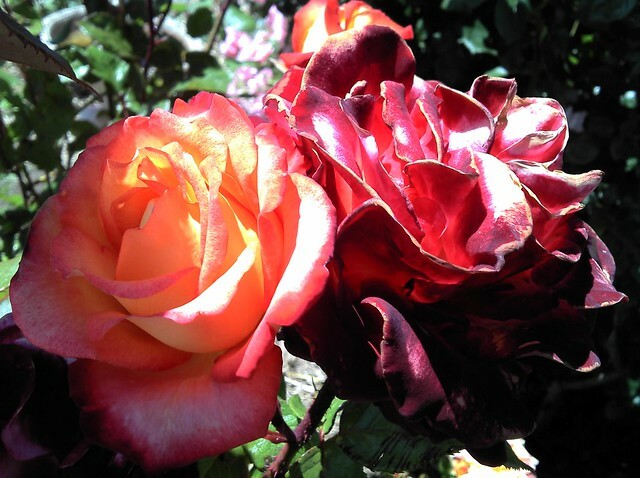 Images such as a macro photo of roses are sharp with good colour rendition. The option to quickly change between scene modes like Macro, Landscape and Portrait is also handy. The camera’s LED flash doubles as a torch when walking around parking lots and campsites at night (this feature was enabled using the free Tiny Flashlight + LED app by Nikolay Ananiev, available from the Android Play Store. Testing the ruggedness claims thanks to its chunky plastic body and toughened Gorilla Glass screen, the Defy withstood my repeated drops with no problem, rain and dust were able to be simply be wiped away. Although I’ve seen this phone water tested in a glass and survive with no problems I caution against getting it too wet in case you don’t position the seals on the headphone socket and USB port properly to close them. While the Defy+ is sold with Android 2.3.6 some people have had success upgrading it to Android 4.0 . Note that this process should not be attempted if words like firmware, bricking and cyanogen mean nothing to you. We all know someone who still has an old Nokia phone who could benefit from being able to use internet messaging, Skype phone calls, Google Maps etc but doesn’t have much money spare for gadgets. 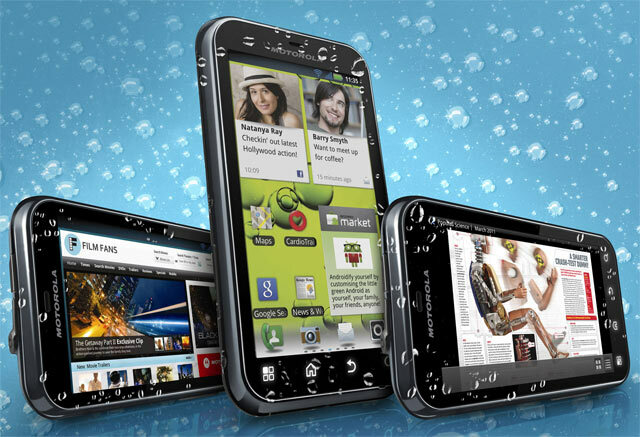 The Motorola Defy+ is the perfect phone for them and it is for sale via Telstra online for $99.